Magus Eygil was the King’s loyal follower. He sought to grant fire a will of its own. 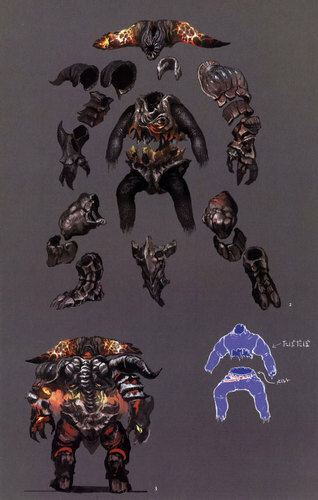 It is possible that the Smelter Demon(s) are a creation of both the Old Iron King, and Eygil, as they appear to be based on a minotaur which was Eygil’s idol. The Old Iron King’s life was taken by a mass of iron that had been given a soul. The earth spouted fire, and a beast arose from the flames. The short-sighted king was incinerated by the creature in one swing, and his castle devoured in a sea of flame, sinking into a pool of iron. The King sunk below the scorching iron and met the one whose name must never be repeated. His flesh was charred, and his soul possessed by the things that lurk below. The Smelter Demon now haunts the castle that sunk into a pool of iron. 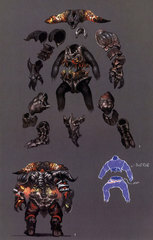 We encounter two kinds of Smelter Demon, one in the Iron Keep and one in the Iron Passage. 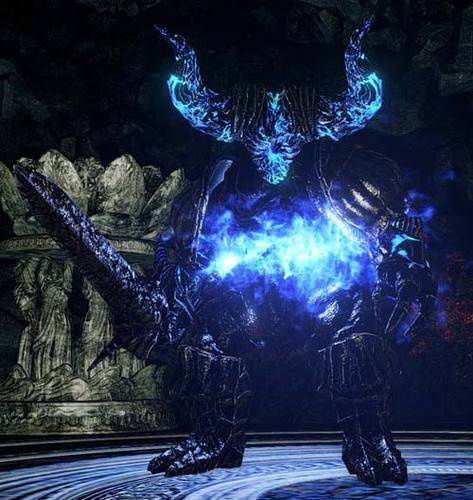 The Iron Keep Smelter Demon emits a red flame, does fire damage and has a broken horn, while the Smelter Demon of the Iron Passage emits a blue flame and does magic damage. 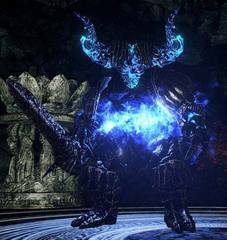 It may be that they are one and the same, as their chambers are very similar, but since the Old Iron Crown DLC does not seem to be set prior to the main events of Dark Souls 2, it is more likely that these two Smelter Demons are contemporaries. 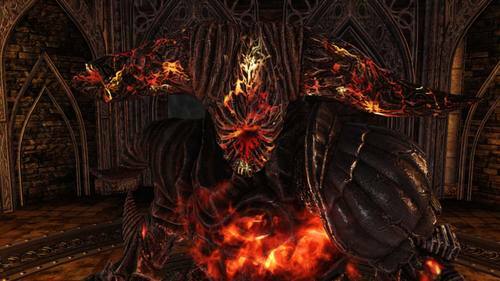 If this is the case then it is likely that the Old Iron King made more than one Smelter Demon, perhaps first imbued with sorcery (possibly what he used to bring his previous puppets to life) then imbued with pyromancy, which led to his demise.